I recently returned from South Africa where I competed in the four day Cape Rouleur Pro-Am Road Race, and the one-day Cape Town Cycle Tour (CTCT). I finished 1st Master and 3rd Amateur Overall at the Cape Rouleur, and 1st Master and 6th Overall in the Top Seeded Amateurs Group at the CTCT. While in Cape Town I also gave a talk about work, life and cycling at the University of Stellenbosch Business School. After the event I was interviewed about my experience in training for and racing the CTCT by Brian Taylor. Below is the transcript of the interview. Q. Were all the riders in your Top Seeded Group at the Cape Town Cycle Tour amateurs, or mixed with the pros? The Professionals and Elite Amateurs (typically young guys who hold a UCI Elite racing license) headed off first, about five minutes before us. The guys in my 1A Race Group were the Top Seeded Amateurs and Masters (40+ years old). To make it into this group, riders must qualify by riding specific events throughout the year, in South Africa and abroad. There were around 200 guys in the 1A Group that I raced with. Q. Were you racing in a team or individually? I am sure that makes a difference if you racing against competitors in a team and you are on your own? I raced as an individual, which is why the final few kilometres were so difficult as I did not have teammates to lead me out, and I hit the front too early in the final 300 meters or so. But for my main event in Europe in April, the Giro Sardinia, I have a team of four guys riding for me. This means that I am sheltered from the wind, helped to close down gaps, and have a ‘train’ to lead me out in sprint finishes. Q. What were your tactics for the Cape Town race? In such a large group you need to make sure you stay amongst the front 20 or so guys throughout the race or you risk missing a split, especially on the tougher climbing sections like Chapman’s Peak and Suikerbossie. For these two climbing sections, I moved right to the front of the group at the base of the climbs, meaning that I could save energy by dropping back somewhat as the pace increased, but still keep contact. The riders tend to string out on these climbs. So if you are still in contact with the string of riders and do not lose contact, then it is kind of like an accordion as the long line of riders comes back together on the descents and flatter segments. This tactic worked perfectly for me, and after Sukerbossie I was with the front forty or so riders remaining – the rest of the starters had been left behind. I then worked my way towards the front ten riders by the 5km to go mark. Q. You finished as 1st Master and 6th overall, but you said you found yourself at the front too early in the final 300 meters. When should you have launched your sprint? It is difficult to go into the final kilometres racing guys you don’t know. In the final five kilometres I gradually worked my way towards the leading riders, and you will see from my on-bike video that in the final one kilometre or so I am in a great position, sitting in 4th or 5th position. But then in the final 350 meters the three guys to my left do not open-up their sprint and accelerate! And suddenly I am at the front, but with no wheel to follow. I am in the wind and I know it is too soon to go full gas. That’s not good. Then the three guys jump past me on the right. Of course, it would have been better if I was behind those guys – ideally I would have followed their lead, and then came past in the final 100 meters or so. As it was, I had to do a full 250 meters on my own, and you can see I fade towards the end as one guy comes past me on the line. So a bunch sprint is kind of like a very fast moving game of chess, as you need to keep a clear mind and predict the moves of your competitors. That is not easy when you are doing around 60kmh – sometimes you get it right, and sometimes you don’t. But I was still very happy with the result, crossing the line as 1st Master for the Top Seeded Group. Q. Considering you are 45 and riding at the Masters level, the other chaps in front of you looked several years younger. So you did remarkably well? I am not doing too badly for an old guy, especially since I train and race clean – I do not dope. My belief is that it is all about how far you can push your body as you age. 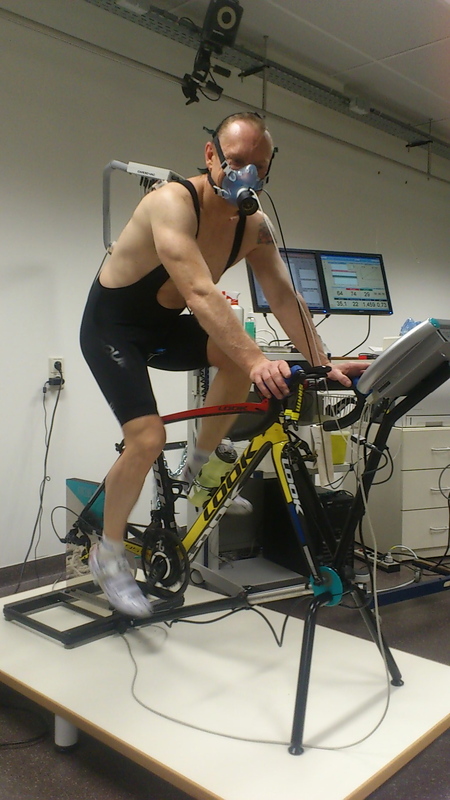 Cycling performance is basically a function of power output, body weight and aerodynamics. Then comes self-belief, tactical wisdom and an ability to suffer. I focused on weight loss over the winter, and my current race weight is at around 63.5 kilograms, which is the lightest I have been since returning to racing six years ago. Body weight is especially important for climbing, as the heavier you are the more power you need to produce to overcome gravity. As I am only 168cm tall I can ride an aerodynamically efficient position, and I race with quite narrow handlebars to reduce frontal drag. For the race I used an aero one-piece body suit and aero helmet, which combined can save 3 to 5 watts of power at race speed. That basically means that because you are cutting through the air more efficiently, you need to produce less power to hold a given speed. Over three hours of racing, those energy savings can help to give you that little bit extra when things get tough. When in top condition, my power output (the amount of power my body can produce by pushing on the pedals and measured by a Power Meter in my crank set) is around 5.3 watts per kilogram of body weight for a 20 minute threshold effort, and I can produce a peak power output of about 1200 watts in a sprint. While those numbers would not win me a Professional World Championship against Peter Sagan, they are certainly within the range of domestic-level professionals and in the upper end of performance for elite Masters road cyclists. Q. Is your bike purpose made for you or off the shelf? 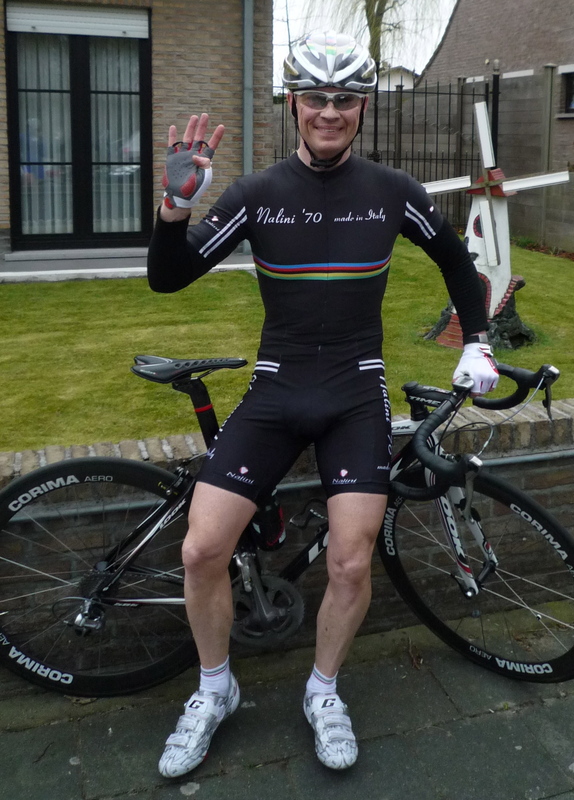 My race bike is off the shelf – a 6.5-kilogram carbon fibre LOOK 695 with Shimano Components and Zipp carbon wheels. It is a special edition painted in the style of the artist Piet Mondrian, which I think is pretty cool. I talk about the intersection between art and business in my keynote speaking, so it’s nice to ride what I preach. Q. How often do you train for this sort of race? I train between ten and fifteen hours per week, but I only aim to be in top condition for around eight to ten weeks each year – March–April and late August-first half September. So when I am building up to a big event, it is more like fifteen hours, including a few hours a week in the gym for power training and core strength. I do more than eighty percent of my training alone, as each of my sessions is planned to develop specific areas such as strength, power or endurance. In the ‘off’ months when I am working more, I train about six hours a week. In the ‘old’ days trainers talked about the need to do lots of slow and steady ‘base’ miles in the off season, but modern training approaches challenge this, especially for Masters athletes who need to work harder to maintain muscle mass, strength and power. So my emphasis during the months when I ride fewer hours is on maintaining power and strength, mostly on my indoor trainer and in the gym, not riding hours and hours of endurance. Q. What kind of other special training do you do? The important thing is to train for the hardest part of the race that you are targeting. It is pointless to do lots of six hour rides at a steady pace, if the race you are targeting is just three hours long, will be raced very fast and has half a dozen short and steep climbs. If the race has short, steep climbs then you need to train your body to do repeated explosive efforts over short, steep climbs. If you are racing events in the mountains or time trialling, then you need to train your body to hold high-power output for longer durations, say between twenty and forty minutes. In this case, explosiveness is less important. My training program is based around a four-week cycle, with three weeks of increasing intensity followed by a one-week rest period in which I hardly touch my bike. I have found that as I age, recovery is increasingly important so I monitor my resting heart rate every morning. If my heart rate is ten to twenty percent above normal when I wake, then this is usually a good sign of fatigue. Using a power meter during training is also very important to monitor fitness and fatigue. For example, if I do a warm-up, followed by five minute effort, and see that my power output is more than five percent below what is expected at a given heart rate, then this is a pretty sure sign that my body has not recovered from a previous training session. So I simply get off my bike, and shift that training session from the morning until the evening, or even the next day. It is amazing that sometimes an extra five or six hour of rest is all the body needs to be prepared for the next training effort at full intensity. Q. How do you balance your work and sport? I am constantly juggling three balls – my family, my cycling and my work. I fully believe that it is impossible to balance things equally all of the time – at certain times of the year I am a very good cyclist and (I think) a good Dad as I am home a lot. But at those times I am not working too much. At other times of the year I am very focused on work, a bit less of a good Dad in that I away from home quite a lot, and not at a top level as a cyclist. The main conference periods In Europe are May-June and September-November, which is when I earn more than seventy percent of my annual income. During the other months when I am focused on training and racing, I work a bit but not as intensively. I might give one talk a week, or a day of teaching here and there. During my peak training months, especially from December until March and in July and August, I do not do long-haul travel, and I don’t do multi-day workshops as this disrupts my training too much. I am able to do this as I am self-employed, but the speakers’ agencies and Business Schools with which I work also understand and respect this. Q. What are your next goals? I will now take a week of rest, and then do a heavy ten day training block to prepare for the Tour of Cyprus, a three day Pro-Am stage race at the start of April. 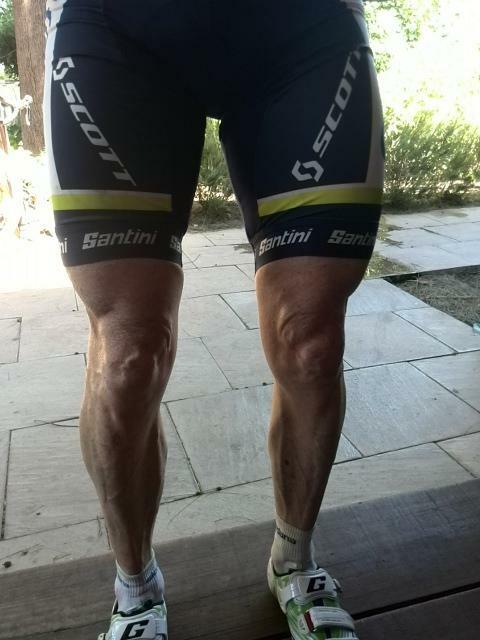 Then at the end of April I will race the six-day Giro Sardinia. Both races are quite mountainous, so I am hoping for some good results given that I am climbing well at the moment. You can find my talk at USB here: What is Success, Really? In my last blogpost I talked about how life sometimes knocks you down. Isn’t it funny how life can also give you wings – I just met my cycling idol Alexander Kristoff! I had just left the small apartment where I was staying with my family in Puerto de Mogan on Gran Canaria, and was heading up a narrow rural road towards the centre of the Island. I had planned a long and steady day on the bike, and was enjoying the sun on my back when a small group of cyclists caught up to me. As I glimpsed over my shoulder, I recognised several guys in the Norwegian colours of blue, red and white and then I saw the two in red. They looked different – lean, and tanned and relaxed on the bike. And then it hit me – they were wearing the new colours of Team Katusha, with names down the side of their jerseys – Kristoff and Bystrøm. I could not believe it – what were the odds of meeting these guys on my training ride!? Alexander Kristoff is one of the world’s top classics riders, and has won Milan San Remo, the Tour of Flanders and a bronze medal at the 2012 Olympic Games. Sven Erik Bystrøm was under 23 World Champion in 2014, and joined Katusha as a professional in 2015. And here they were, riding beside me on the road to Mogan and the mountains beyond. As is etiquette in cycling, I asked if I could join the small training group and was welcomed into the fold. I introduced myself, and met each of my six Norwegian companions. As it turned out they had not started the day together, but had formed the group along the beach road on the way from Puerto Rico. We held a steady tempo as we headed up into the mountains, and chatted away as the gradient was not too steep. Kristoff told me about his trips to Australia and the Tour Down Under, and how he had decided not to go this year given his focus on the Spring Classics and defending the Tour of Flanders. I learned that the other Norwegian guys were out for a short ride of just a few hours, but Kristoff and Bystrøm were planning a big day of six or seven hours. So I asked if I could tag along, and the two professionals said “sure, no problem.” A grin spread from ear to ear as we reached the top of the climb and three of us turned left and the other guys turned to the right. It was just me and team Katusha! To say that riding with Alexander and Sven was exciting for me would be a big understatement. I was ecstatic! When I first got back on to my bike more than five years ago, I sought out and trained with young elite level guys in the area where we lived near to Brussels. Some of those rides almost killed me, but I told myself that if I wanted to race at the elite level again, I would also need to train at the elite level. I found it so motivating to be training with the elite guys, many of whom were at least twenty years my junior. But I never imagined that one day I would be out on the road with Alexander Kristoff and Sven Bystrøm. When you ride with guys for six or seven hours there is no need to rush the conversation. So we chatted in a relaxed way as we headed further into the centre of the island, talking about how we came to cycling, about goals for 2016 and our families. I felt a bit self-conscious talking about my plans for competing in South Africa and Italy in the Spring, especially considering the races that they will be doing at that time, but the guys listened and wished me luck. Sven told me that they were working to a four-day training cycle – three days on the bike, and one day of rest before the next cycle. Today was the day for long steady distance after a day of interval work, which suited me just fine. We stopped for a short lunch of cheese sandwiches and coffee, topped-up our water bottles, and enjoyed the view to the peaks surrounding Tejeda. On the way back down the valley, I saw first hand how fast professional cyclists can descend, even on a training ride. All in all I spent almost seven hours with Alexander and Sven, and we covered around 170kms and more than 3500m of climbing. It is a day that I will remember for a very long time, although not because there were any flashes of insight or golden nuggets of training advice. In fact, I was struck more by the ordinariness of a long day in the saddle with two guys who have chosen cycling not only as a passion but also a job. I had the pleasure to meet two very open and sincere human beings, who despite their fame and achievements were happy to share their ride with me. I am a lucky guy, and I am sure 2016 is going to be a very good year – for me, for Sven Bystrøm and for Alexander Kristoff. HAVE YOU SEEN MY TED TALK: What is Success, Really? Eight months ago I lay beside the road on a mountain descent in Mallorca. It was early April and I had just hit a brick wall doing about 50km per hour, breaking ten ribs, puncturing a lung, dislocating my right shoulder and cracking several teeth. And I was pissed off – furious at myself for losing concentration on the corner, and angry that all of the hard work that I had done on my bicycle over the winter was now lost. But I did not despair – not even for a moment. Because throughout my life I have sometimes experienced setbacks and heartache, but I have always been able to get back on my feet. And I knew that this time would be no different. After the ambulance arrived at the roadside I was taken to a small hospital in the nearest town, but the doctors took one look at me and shook their heads – my condition was too serious. They put a drip in my arm to ease the pain, and I was transferred to the intensive care unit of the University Hospital in Palma. The rest of the journey was a blur. That evening, after the catheter had been inserted to drain the fluid from my punctured lung, I managed to call my wife Anne-Mie. With laboured breathing, I told her that I had crashed, but I was okay. No broken neck, no head injury and I could remember the kids birth dates. I told her that I was going to be okay – that it would just take time. I spent a week in the hospital before I was allowed to travel home to Belgium by ferry and train – I was unable to fly because the tear in my lung was too serious. In that time I had a lot of time to think, and of course I started to write this blog. But not for one moment did I consider that my life as a cyclist was over – I just accepted that my goals for the 2015 season were gone, and that I would have to focus on repairing my body. A few days ago I had a quiet celebration – I got back on my bike at the start of July, and for the past five months I have been steadily rebuilding my fitness. I still have some pain in my ribs, and the shoulder aches a bit, but the rest of me feels fine. I record all of my training sessions with a Power Metre and Heart Rate Monitor, and it is exhilarating to see that my condition is now back to where it was before I had the crash. My body’s ability to sustain power is about the same as when I got on the top step of the podium at the Cape Town Cycle Classic back in March – and that feels amazing. But more importantly I still have a passion to compete. For me, love for my sport is not about a small spark in the dark. It’s about a burning fire, and self-belief beyond reason. The fire still burns, and 2016 is going to be a very good year. WATCH MY TED TALK: What is Success, Really? I raced my first cycling competitions in Belgium in Spring of 2010 and it was a terrifying experience. I failed to finish my first two races, and struggled home several minutes down on the winners in the other kermiskoerses that I completed. I experienced muscle cramping in almost every event, not because of dehydration but because of the sheer exertion that I was demanding of my body, over and above what it was capable of delivering. It was a depressing experience. But at the same time that I was suffering on the narrow roads of Flanders, I was also learning a lot. The first thing that I started to understand was that the elite Masters racing that I was competing in was nothing like the kind of long-distance road racing that I had trained for as a young man. At the Masters level, the distance is typically just 70 or 80 kilometres, not the 140 kilometres or more that is typical for the elite level amateur and professional racing. I realised that I had to train my body to go very, very fast for a little more than 90 minutes – not to be able to race for 4 hours or more, as is typical of the professional cycle racing you see on TV. I started to understand that the first 30 to 45 minutes of that 90 minutes was especially important, for that was when the selection of strongest riders was typically made in a kermiskoers, and gaps would start to open-up in the race. If you were not able to stay in the front ten to fifteen riders in the opening laps, especially once that group opened any kind of gap on the chasing peloton, your race was pretty much over. So in the summer of 2010 we spent almost two months on Corsica, and for six days a week I rode my bike along the beautiful coastline and into the mountains above Calvi and Ile Rouse. While I did a longer ride once or twice a week, what I really started to work on was intensity and really pushing myself to exhaustion on the long steady climbs that the Islands is famous for. I would do a five to six minute effort at close to my maximal heart rate, rest for a minute and then repeat. I would do this again and again until I literally started to feel sick and weak. At first I could only do two of these kinds of sessions a week, as I needed a few days to recover afterwards. But by the end of the summer I could manage three such workouts. We came back to Belgium at the end of August and I headed to a race in East Flanders. As I lined-up I realised that I was not the only guy had been training hard over the summer – those Flemish guys looked muscled, lean and suntanned. The flag dropped, and I experienced a tortuous 30 minutes of pain before losing contact with the front group of ten or so guys who drove the breakaway. The rest of us knew it was over, and we raced the next hour with resigned effort. I just wasn’t strong enough, and I still had problems with cramp and back pain. I kept riding my bike, I kept racing and I kept losing weight. The 2011 Spring racing season was better – I could consistently finish the races I entered, and I got in my first breakaway. Being in that breakaway as an Aussie cyclist in Flanders was an experience I will never forget – the pain and the effort, and the realisation that there was a group of fifty guys hell-bent on catching you just a half-minute or so back down the road. The guys in the breakaway pretty quickly realised I was a foreigner, and in true Flemish style started to shout at me in English. There is no friendship in that kind of group – just solidarity of effort until the final few kilometres when the guy beside you will quite happily lean you into the barriers if it looks as though you might sprint past him. In that race I came 4th (picture below), with just a few centimetres separating me from my first podium in more than 20 years. That summer I lived a lifelong dream. My family and I went camping in France, and I competed in road races in the Auvergne and Languedoc regions. It was a very different style of racing to Flanders – races of 100 to 120 kilometres on beautiful open rural roads. The first half of these races was usually pretty civilised, before the real action would start in the final 50 kilometres or so. The competitors were almost gentlemanly, and I loved every moment. I was consistently finishing in the top 10, and I got my first podium with a third place in a hilly a race in the Dordogne. I won a bottle of wine, a loaf of bread and bunch of flowers. Fantastic! There was a big party at the campsite that evening! In September I went to the European Masters Games in Lignano, Italy and I finished 7th in my Age Group Category. The race was on a very flat circuit, and not really suited to my physique, but I managed to make it into the breakaway with a Slovene, several Italians, a German and a Russian and we were able to stay away until the end. The Slovene guy won in a solo break, and Italians took 2nd and 3rd. I was over the moon with my 7th place – it was still two years to go until Torino, and I had really started to believe in myself. But the best part was coming home to Belgium – despite my 7th place, the kids had drawn a huge picture of a golden cup with a Number 1 on it. Something else started to happen – I think my body began to accept that I was serious about this cycling stuff. My fitness gains and weight loss had been slow and steady in 2010 and 2011, but then seemed to accelerate. At the end of 2011 I bought the most amazing performance enhancement tool than any cyclist can use – a power meter. This new tool enabled me not just to train with heart rate and feeling, but with accurate numbers of the watts of power that I was producing in any given effort. It was a revelation. Performance in cycling is relatively simple – it is a combination of power-to-weight, aerodynamics, race nutrition and tactical wisdom. Training is about specificity – simulating the kinds of efforts that one will experience in competition. Improvement comes from incrementally and progressively overloading the body during training and racing, and ensuring that one has enough rest and the right fuel to recover for subsequent efforts. I started to use my power meter to record my Belgian race data, and I could see quite precisely the kinds of power that I needed to sustain to finish at the front of races. After just a few weeks, I could see a certain pattern – I was having to average 290 to 300 watts of power output for the first 45 minutes of a typical kermiskoers just to stay in the front group, and an average of around 270 to 280 watts over the duration of the race. I sometimes struggled in races with a lot of corners, as although I could hold a good intensity I was unable to do the repeated sprints at very high watts after each deceleration. But I decided not to worry about this too much – the racecourse in Torino would not involve tight corners. Now my training became completely focused. I developed my training plan around simulating the course that I would race in Torino – nine laps of an eight kilometre circuit, with sweeping corners, long straight sections and each lap an almost 1km climb of between 12% and 18% gradient. Each lap should take around 11 minutes at an average speed of just over 40kmh, so I would have to hold about 270 to 290 watts for around 8 to 9 minutes, and then go up into the 400 to 500 watt range for the 90 or so seconds of the steep climb, before recovering on the descent and repeating. I would also need to be ready to chase breakaways or close gaps – efforts of maybe 340 to 360 watts for 2 to 3 minutes at a time. Racing kermiskoers in Flanders was perfect for the threshold work that I needed, but lacked the climbing, so I also started to do some racing in Wallonia. In summer of 2012 we found an amazing camping ground in the Cevennes national park in the south of France which had wonderful surrounding roads for training. A short distance from the campground I found a quiet road at the base of one of the nearby mountains. The first section of tarmac was about 1km long, with a 12 to 18% gradient and I rode up that damned thing hundreds of times. I raced in France throughout the summer of 2012, and in the second half of August I won my first race in more than two decades – a regional Masters competition near to Lyon. I promise you something – it felt just as good standing on the top step of the podium at age 41 as it did when I was 17 years old. And I had the proudest family in the world. And I still had a year to go to prepare for the World Masters Games in Torino. I started training again in 2009, almost 20 years since I last raced my bike at an elite level. 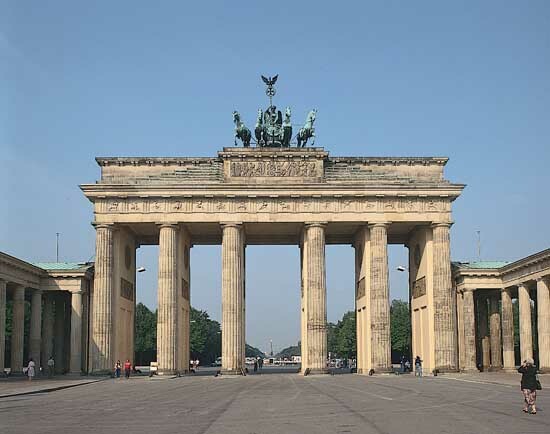 We were still living in Berlin, and I would ride my bike from where we lived in Prenzlauerberg on the East side of the city and out into the countryside. The outer suburbs of the east side of Berlin are a mix of turn of the century apartment buildings that survived the war, and housing and factories built during the GDR times. I would pass through Weissensee and Bernau, and then do a loop through the fields and a small forest near to Melchow and Biesenthal. On longer rides I might go as far as Eberswalde. I tried not to get lost, as these were the days before I had a bike GPS and my German was non-existent. If you did ask someone for directions, the usual response was for the person to ask (in German) what kind of an idiot would ride with a map they could not read, and then point you in the wrong direction. The people out this way were Prussian, and they did not like the ‘outsiders’ like me who were coming to Berlin, forcing up prices and gentrifying many of the formerly working-class inner city suburbs. The small rural villages in this part of Brandenburg were tidy and well kept, but far from affluent. Young people were notable by their absence, and you were more likely to see Dacia Logan sedans than BMWs. I would occasionally come across Confederate flags from the American civil war fluttering over small isolated houses out in the countryside, and my German friends later told me that these belonged to far-right supporters or neo-Nazis. I’m glad I didn’t stop at those places and ask for directions – the angry looking Rottweiler dogs in the front gardens would have deterred me anyway. For the first several months that I rode my bike I didn’t have any special training plan or goals. I just wanted to ride, and I loved my time alone. I started riding in the early Spring of 2009, and the temperatures were frequently hovering around zero. I would leave home with layers of clothing, thick winter gloves and a thermal hat under my helmet. My cheeks would sometimes start to burn on the really cold days, so I also got myself a balaclava. Looking back now, I’m not surprised the local village folk sometimes got a shock when I asked for directions. My first goal was just to build-up my aerobic fitness and lose weight. This is what cyclists call base training, and at first I was doing just four or five hours per week. Trying to fit in some riding around my young family and intensive work schedule was not easy, so I often headed out very early in the morning. I also got myself an indoor trainer, and would try to ride on it once or twice a week in the evenings. The best thing that I discovered about being back on my bike was the thinking time. I had become so busy in trying to juggle the three balls of family, career and self, that the third one had been the first to drop. This meant that I was occupied all of the time, with very little time for mental down-time. On those rides through Brandenburg I started to reflect upon my life, and this eventually led to the worklife decisions that I have discussed in my previous blog posts. 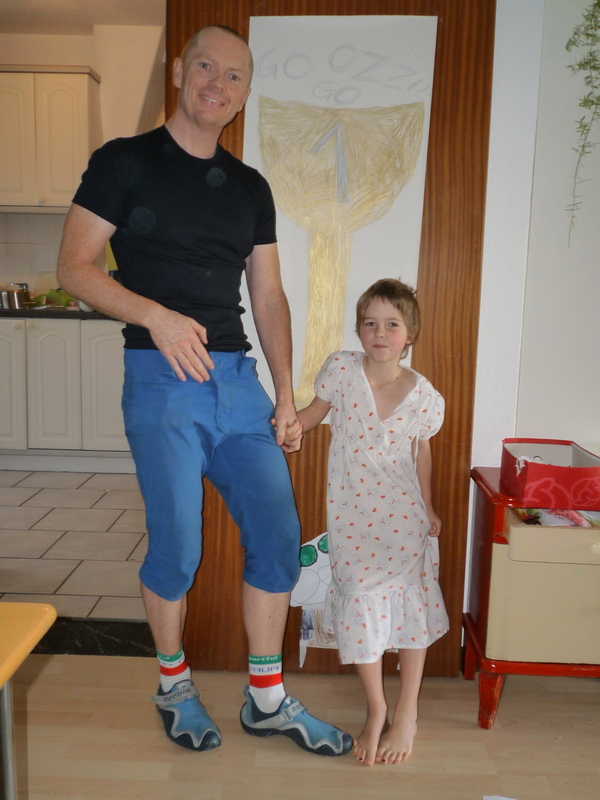 In mid 2009 I resigned from my job as a professor in Berlin, and moved with my family to Belgium. Once in Belgium my new life as a cyclist really began. I had set myself the goal of competing at the next World Masters Games in Torino in 2013, and started to completely rethink how I could keep the three balls of family, career and self in the air. I have explained in my previous posts about how I started to focus my professional activities on becoming a keynote speaker, and at the same time was able to invest more and more time into my family. When we moved to Belgium we rented a small house in Tervuren, a leafy suburb on the outskirts of Brussels. The choice of area was a very conscious one – we wanted somewhere that offered direct access to the countryside for the kids, that was well connected for transport (I would still have to travel from time to time for my speaking engagements) and which offered a good base for my cycle training. Once settled, I joined a local cycling club and started to seek-out other cyclists who could also train on weekdays. My local club organized rides every Sunday from the famous ‘Café Congo’ in Vossem, with groups divided by ability – A,B, C and D. In the summer months it was not unusual for each group to contain thirty riders or more. The A group would average around 32 to 34kmh for a 100km ride, and the D group quite a bit slower than that, with each group followed by a support car. Of course, I immediately jumped in with the A group and found myself unceremoniously left-behind at around the 60km mark of my first group training. The rules of Belgian A-group club rides are pretty simple – if you can’t keep-up, then you find your own way home. So for the next few months I dropped back with the Sunday B-Group, while at the same time increasing my week-day training to around 6 to 8 hours. The area of Belgium where we were living was called Vlaams Brabant, a beautiful part of the country with rolling hills and open countryside, dotted by small villages. It was just a short ride across the ‘border’ into French-speaking Brabant Walloon. My first race in Belgium in the late Spring of 2010 was a shock. I had been back in training for more than a year and I thought I was in good condition. I was now able to join my club’s A-Group every Sunday, and was down to around 70kgs. So I thought I was ready to compete, and took a license with the Vlaamse Wieler Federatie (Flemish Cycling Federation). What I was about to discover was that the level of amateur Masters cycling in Belgium is without a doubt the toughest in the world. Not only is the country cycle racing obsessed, but the sheer number of people participating in amateur competitive events is unrivalled. Many of the guys who race have been competing since they were nine years old and some have spent years as a professional. According to the Belgian press, doping is still prevalent in the amateur ranks and especially amongst the over 40s who are struggling to remain competitive into middle-age. There are no fewer than seven provincial racing associations in Belgium, as well as the Flemish and Wallone ‘national’ amateur Federations. In the spring and summer months there might be upwards of 20 separate racing events per week, all in a country which is about a third of the size of the little island we Aussies call Tasmania. The Flemish north of Belgium where I first chose to compete has a very special style of amateur road racing called the Kermiskoers. Belgium is a small country, so access to open roads can be difficult. The typical race format is therefore a short circuit, anywhere between 4 and 8 kilometers, that starts in a village centre and then loops out into the countryside. Total distance at the amateur level is 70 to 90 kilometers, and the circuit often involves sections of narrow farm roads, with a cobbled section thrown in for good measure. Flanders is very flat, so there are rarely any hills to speak off. Re-entering the village can involve navigating sharp corners, speed bumps and traffic islands. Each and every corner involves deceleration and then rapid acceleration, and there are constant attacks. This would all be fine, if it were not for the 120 or so other guys who are all trying to stay at the front at speeds averaging 42 to 44 kilometers per hour! 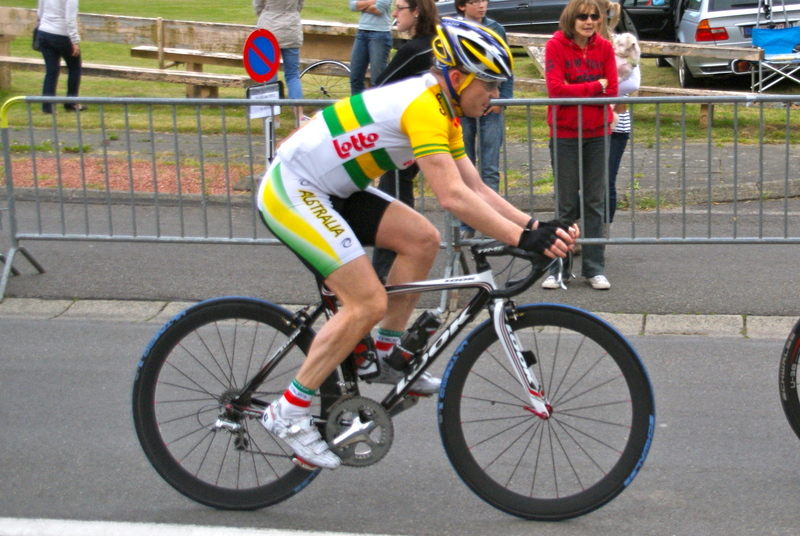 A professional cyclist once described the Kermiskoers as being as mentally stressful as the final kilometers of a sprint lead-out, but for the entire race. Crashes are common, and an ambulance crew is always standing by. My first race was a 72km Kermiskoers in a small village near to Dendermonde in East Flanders, involving nine laps of an eight kilometer circuit with a cobbled section of about 400 meters. After four laps I was spat out the back of the peloton, with legs cramping and severe pain in my lower back. I pulled to the side of the road and proceeded to throw-up. I remember that it was not just any kind of vomit – it was that brown-green colored stuff that comes from someplace way down. I glanced at my computer – my average heart rate for the four laps that I had completed had been 174 beats per minute! Bent over at the side of the road, I thought that I would never be able to compete with these guys. Then I told myself that this was just the first step on a long journey. Torino was three years away, and I had a lot of work to do.